A man whose decomposing body was found stuffed inside a sealed barrel chained to the bottom of the San Diego Bay last month was a 28-year-old music producer from Chula Vista, who was last seen alive on Sept. 30, but no arrests have been announced in the case. 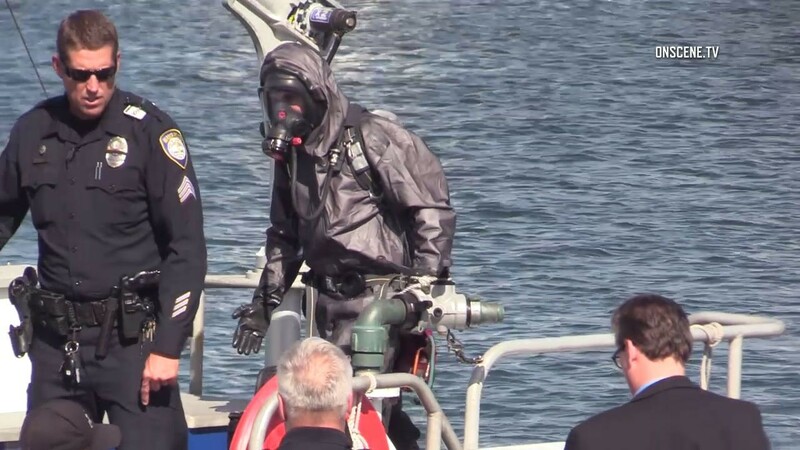 The remains of Omar Medina were found in the plastic drum in the harbor on Oct. 12, 10News reported, citing confirmation from Chula Vista police, who could not be reached for comment Wednesday morning. Six days after the discovery of the barrel, investigators said they had identified the body but were withholding the victim’s name to avoid compromising the ongoing homicide investigation. On the day the body was found, Albert Molina went to the Chula Vista Marina to circulate homemade missing-persons fliers featuring a photograph of Medina, saying he was worried the remains were that of his friend. Molina told reporters that he had reported Medina missing. 10News reported that Medina’s family held a funeral service for him at the end of last month. A program for the service listed his date of death as Oct. 12, the same day the barrel was found.